Kai Miller and Donetta Bradford are two women with different lives, but a terrible hurricane in Texas will join them together for the rest of their lives. Kai is young, free spirited and teaches dancing on a cruise ship. Donetta is in the prime of her life, has a sweet southern personality, is in a disappointing marriage and is looking for adventure. A life and death situation binds them together and they ride out a hurricane evacuation together which lands them both in Daily, Texas, Donetta’s home town, with a group of church evacuees. This event changes their lives and effects their personal lives forever. Will Kai be able to accept who she is and let someone love her for her? Will Donetta be able to live with what her future holds for her marriage? This book was not one of my favorites. There were many times in the book where I read quickly through a section because I felt the author had already talked about that part of the story line. This caused the book to drag out more. There were some exciting parts and the ending does not end exactly how I thought it would go. There are also some good lessons in the book about controlling our behavior around people who are difficult to deal with. I would recommend this book for an easy read when you have the time. This book was a free copy from the publisher. Emma Miller is a young Amish girl turning sweet sixteen. At her birthday party she shocks her family by announcing she want to take her full Rumspringa. This is the time Amish boys and girls are allowed to experience the English (or Englischer as they are called) world before being baptized into the faith. Emma is a hard working young teenager with her own wool business. She sells her products to Mrs. Dunn who owns the “Stitch In Time” boutique. Emma has met James Davis Jr, a young Englischer farmer who often makes deliveries to the boutique. She has feelings for James, and feels guilty: the worlds of the Amish and Englischers are too far apart. Her father, would never approve of her courting James. Emma is very close to her Aunt Hannah who recently married her Uncle Seth. They are both raising lambs, both are in the wool business, both selling their products to Mrs. Dunn. She longs to talk with Hanna about James, but doesn’t want to put her in the middle. Emma’s father is “Old World” Amish and a deacon. 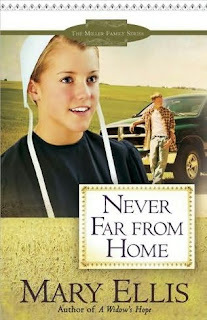 When he learns of her associated with James from an Amish harness maker, he is really upset and forbids her to see him. He cannot understand why his daughter would want to associate with an Englischer, let alone have feelings for him. This goes against all he believes in. There are several good Amish young men she can court when it is time. Readers will enjoy living Emma’s daily life as she agonizes over her feelings for James, the desire to obey her parents, her God, and not to bring shame to her family. You will cry, laugh and rejoice with the family as they cope with the debilitating illness of her mother, Emma’s long recovery from a terrible accident involving her buggy and a truck. Does she reconcile her problems with her father? Does Emma leave her faith and become English or does James convert to Amish? Talk with the family as they live their daily lives. Hanna prays for a baby, Emma’s mother prays for relief from her illness, and Emma prays for guidance and understanding. Is James the one person God has planned for her? Can she truly wait for God’s timing and accept his will? Ms. Ellis is an excellent writer of romance fiction. She seems to have a firm understanding of the Amish’ beliefs and their way of life. Highly recommend for all readers. Jayne Tate is a staff reporter writing for the “Oregonian” newspaper and residing in Portland, Oregon. When her boss calls her into his office, she is sure is getting the prime assignment to go to Miami. Instead she is told her work is slipping, too many rewrites, and he suggests she take a few weeks of vacation to get her act together. He has given the assignment to another reporter. Her father has recently passed away and her boss thinks she is still grieving. Jayne know this is not true. She is estranged from her family and has been for some time. However, she keeps quiet – he can believe what he wants. Jayne is devastated about missing out on the assignment though – what will she do with all that time? She can’t relax on the weekends let alone for three weeks. Jayne is a motorcycle riding gal. She owns a 2008 Triumph Bonneville. She fires up her bike and goes for a ride to clear her mind. She doesn’t get far – she spots a bookstore and stops to browse. A magazine catches her eye – there is an article about the Amish. She buys the magazine and returns home. An idea – there is a story, here, or maybe a series, and she is the one to write it, proving to her boss she is still his best reporter. The Internet reveals an Amish community just outside of Albany. 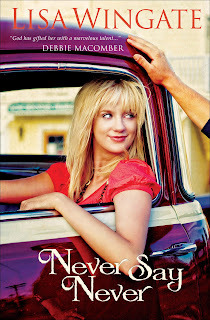 Jayne tells her friends and boyfriend what she plans to do, cranks up her Triumph and starts out for the adventure of her life. Reaching Albany she picks the name Levi Burkholder, an Amish carpenter and owner of his own business, out of the phone book. Making contact with Levi, she tells him she is a reporter and wants to do a story on the Amish people. She wants to stay with an Amish family to learn their ways. Levi is clearly smitten by Jayne and takes her to an Amish family who agrees to let her stay for a few weeks. Jayne is unaware this is Levi’s family. He left home before being baptized into the faith, wanting something more than what the Amish community could provide. Wanting to be closer to his family, he left the corporate world, returning to Albany and started his carpentry business. He has kept in touch with his mother, but is shunned by his father who won’t even speak to him. 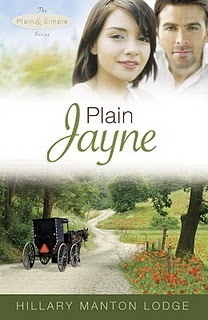 The longer Jayne stays with the family, the more she is convinced the plain and simply life of the Amish is for her. Maybe she should try to reconnect with her family. Perhaps they didn’t hate her or blame her for all the problems. I highly recommend you read the book to learn Jayne’s fate. Does she become Amish? How does her boyfriend fit into her new life style? Does she cultivate a relationship with Levi? Does she reconcile with her family? Readers will thoroughly enjoy their journey with Jayne – a tea drinking, motorcycle rider determined to prove to her boss that she is still his best reporter. Ms. Lodge is an excellent writer of romance fiction. She has a firm grasp of the Amish community and their beliefs. The book is certainly an eye-opener and one you will find hard to put down. Mary Bridget Washburn is a young woman who has made some wrong choices in her life and needs to escape. She is able to get away from immediate trouble, but she has to live a life in fear and withdrawal. She knows she needs to break free, but will she be able to? Alasdair MacPherson is a pastor at a well established church, writes for a magazine, gives talks at seminars and has a radio program. However, behind this facade, his world is falling apart after the death of his wife and the devastation of learning that the church elders are unhappy with his work and want him to quit. Mary and Alasdair’s paths cross and the story takes an amazing journey through two lives looking for healing and redemption. This story was inspiring. I love the constant weaving of God’s truth and promises throughout the book. I enjoyed being reminded that once we are God’s children, He will not forsake us. I would highly recommend this well written, inspiring book. In 1700s Scotland, the people are afraid of the Highlanders, lead by Bonnie Prince Charlie, rebels from the mountain regions who are intent on (re)capturing Edinburgh. The well-to-do lowland (city) Kerr family allows their son, Lord Donald, to marry a beautiful highlander woman, Elizabeth, even though Lady Margory, Donald’s mother is against it. Against this backdrop of possible war, and a conflict of religions – Elizabeth worships the moon and celestial beings; not some far away unseen god – each of the Kerrs carries within themselves secret sins. I’ve always been a big fan of historical fiction, and this setting caught and kept my attention immediately. Most Christian fiction takes place in America or England, so it is refreshing to move the fiction to a new area – although, not particularly far away. Higgs does depart from the norm, and takes chances that I appreciated, by introducing characters that follow false religions, sleep around, and partake in sinful acts as a norm. What jumped out to me immediately was the way the book showed humanity without the white-washing that we normally get in Christian fiction. I’ve not read Higgs before, but I plan to follow her closely in the future. Recommended. Rylee Monroe is a dog walker in Charleston. Her clients live in the wealthiest part of the city. Recently their homes are being burglarized by a person the police have dubbed the Robin Hood burglar. Items being taken have little or no value while item valued at thousands remain untouched. The thief is giving the items to the poor, just like the mythical Robin Hood. Logan Woods, a newspaper reporter, is writing a book on crimes in general and the Robin Hood burglar in particular. As he digs into the recent burglaries, he finds that Rylee seems to be at the center of everything. He tries to get close to Rylee, but she doesn’t trust him or anyone else. Her father left his family when she was a small child and her mother committed suicide, or so she has been led to believe. She only has her grandmother, who she supports, living in a nursing home. As the burglaries escalate, the police suspect Rylee of the crimes as she has access to each of the homes being burglarized. She is arrested and put in jail. After being released on bail, she returns to her apartment only to find it has been trashed – everything has been destroyed. She turns to Logan for help. Their relationship is one of mistrust and secrets, but they really do need each other: Logan to find the ending to his book and Rylee to have someone to cover her back. This is a very interesting romantic suspense novel. You will find yourself asking the questions – what really happened to Rylee’s parents, who is living in her ancestral home, who is the Robin Hood burglar – why has he/she committed these crimes? Highly recommend the book. This is a well written suspense novel. The authors did an excellent job of collaborating the story – leading the reader to a surprising ending. The story centers mainly around three individuals – Mary Bridget, Reverend Alasdair MacPherson and Samantha MacPherson. Mary is a lost soul. After the death of her mother she went a little wild – running off with a local boy the town said was peculiar. She soon becomes involved in the making and distribution of drugs, and finds herself on the wrong side of the law. Reverend MacPherson is pastor of John Knox Presbyterian Church. MacPherson has been pastor of the church since its founding. McPherson is a widow with three children to raise on his own. The church elders and the Presbytery president are not pleased with the reverend, because they feel he is too involved with other activities, not taking care of his congregation and are asking for his resignation. Samantha is the Reverend ‘s daughter. After the death of her mother she went from a loving daughter to a secretive teen, skipping school and getting into all kinds of trouble. Determined to make a new start, Mary takes on her mother’s identity and escapes to Alexandria, Virginia where she becomes nanny to the Reverend’s children. The reverend must come to terms with what is best for his family and the church. Samantha must learn to take responsibility for her actions and stop blaming others. Mary, or Birdie as she is now known, must learn to listen when God speaks to her and do his bidding. She thinks she can help this family. One must read the book to experience the doubts, frustrations, cruelty of one person, and how each character overcame their own challenges. Do they come to realize that God has been with them each step of the way and he always keeps his promises? 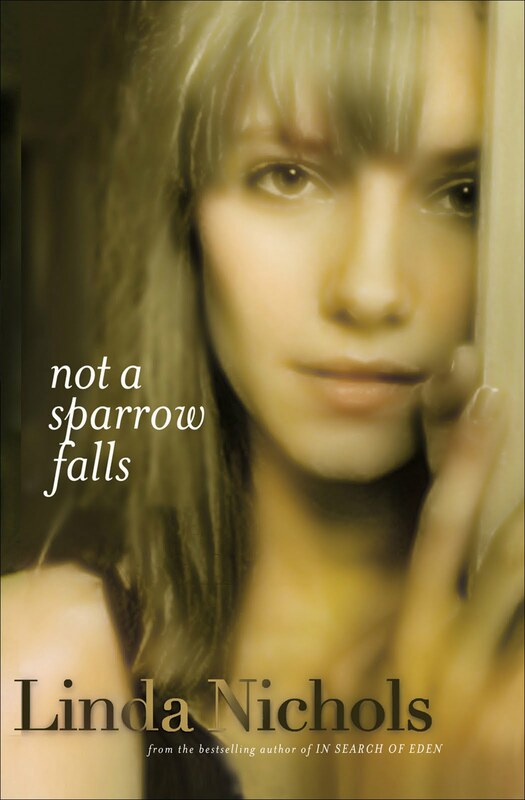 If God sees each tiny sparrow that falls, surely he will do even more for his children, right? Linda Nichols is an excellent author of Contemporary Fiction. Highly recommend this book for all christian readers. This book was provided by the publishers as a review copy. Donetta Bradford and her two friends, Imagene and Lucy, are going on a cruise. They have never been on one before and have high expectations. They start the drive from Daily, Texas in high spirits to sail on the Liberation docked in Perdida. A hurricane named Glorietta is brewing out in the gulf, but they are unconcerned. After all, the hurricane is predicted to miss them altogether. The trio is having a high ole time with their movies, food and good conversation until they run into a traffic bottleneck. Seems all predictions of Hurricane Glorietta were wrong and the storm is fast approaching land. They join the row of cars trying to exodus to higher ground, and soon find themselves out of gas and stranded on the side of the highway. Things are not looking too good for the women and the storm is really bearing down. Kai Miller lives in Perdida and works on the Liberation. She arrives at the dock on the departure date to find the ship has already sailed in the middle of the night due to the approaching storm. Not knowing exactly what to do, she returns home to pack a few belongings and to find higher ground. Her landlord is not to be found and she just can’t leave his two dogs to fend for themselves. She load up the dogs in her van, joins the line of departing vehicles and hopes she can outrun the storm. Kai is soon caught up in the stop and go traffic with no where to go, but follow the car in front of her. She sees the stranded van and stops to help. She loads the women, all their belongings in her van, with the dogs, and continues on her mad exodus. Everything is going fine until she has a flat tire. She is forced to pull out in the first available spot which is the driveway of an electric company station. Now what where they going to do? Suddenly they hear singing. Were they going crazy – who would be out on night like this – maybe there was a house close by. Soon a man emerges out of the darkness. He and the Holy Ghost Church congregation are stranded as well and he was trying to find a way out. He takes the women and the dogs to an abandoned church in the woods where his people are staying. This is where the story become interesting. You will find yourself laughing, crying and right in the middle of the hurricane. What happens to this bunch of unlikely strangers makes a very heart warming story. I just couldn’t put the book down until the final page. One must read the book to appreciate Lisa Wingate’s unique style of writing. She is an excellent writer of contemporary fiction. I can’t recommend this book too highly. You will thoroughly enjoy her way with words. She has written two other books about life in Daily, Texas which I plan to read.